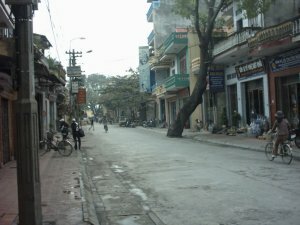 Hanoi. 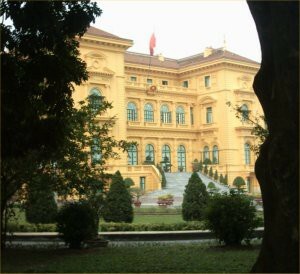 Vietnam capital and resting place of Ho Chi Minh. Sarah and I arrive on the 2nd leg of our South East Asia tour, at Noi Bai airport, in Hanoi. We are picked up by our guide and driver, and head across the red river, towards the city. As we arrive in the evening, we stop on the way to enjoy a superb 8 course Vietnamese dinner. 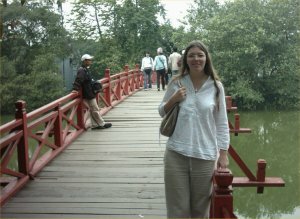 I found Hanoi to be both modest and charming. 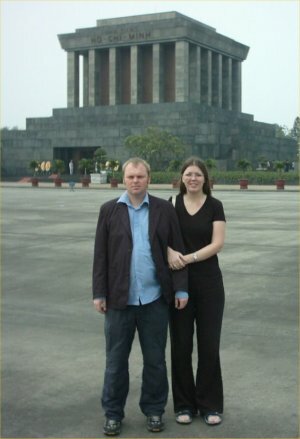 Here Sarah and I pose outside the Mausoleum of Ho Chi Minh. Next day, we set of, on a tour of the city. 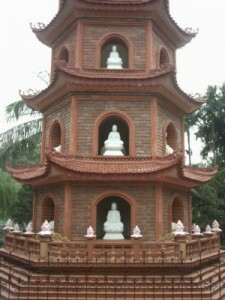 The Quoc pagoda sits on an island in the West Lake. 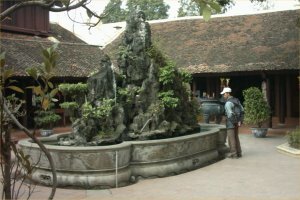 Supposedly founded 1,400 years ago by King Ly Nam De (the famous warrior of Sword restored fame), it was virtually impossible to photograph in one shot. 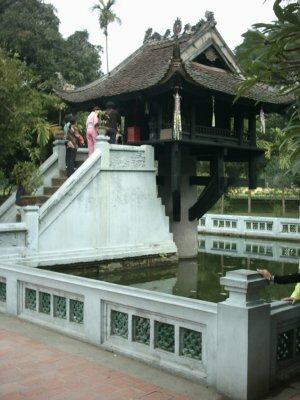 A garden near the Quan Thanh temple. 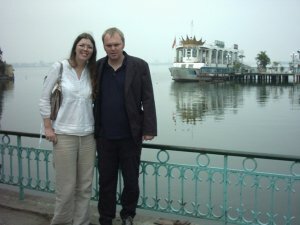 Sarah and I, photographed next to the Hoan Kiem Lake (the lake of the sword restored). Our guide showed us this fascinating arga. Its possible to buy money for the dead (its costs about a fifth of the cost of normally money. You then burn the money in the arga, for the people you want to pray for. I asked if people burned money, for Ho Chi Minh. The actual bridge of the lake of the sword restored. An Arthurian-type legend is associated with this lake. It’s about a sword provided by a golden turtle from the lake, in the 15 century and which was used in battles against Chinese invaders. The sword was later returned to the lake (hence the name sword restored). Its still possible to see turtles in the lake (although we didn’t see any unfortunately). 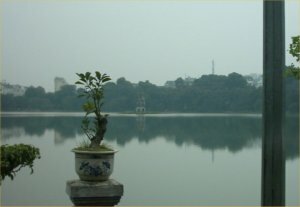 In the middle of the lake is a small island with a structure on it, which was previously the symbol of Hanoi. 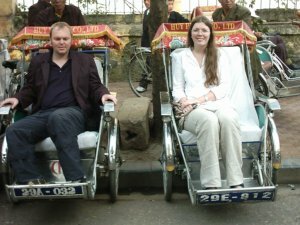 Later we had a cyclo tour of the old quarter. Although it was an interesting experience, I would have preferred to walk around, as they only go at 2 miles an hour. The bottom story, normally acts as a shop front, with the occupants living in the back of the shop. They are very narrow, long, and built high. At one time, houses were taxed on their width, hence why some of them are only 7 feet wide. 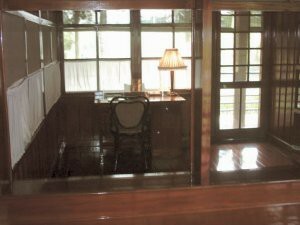 the length of the house also creates a larger, cooler shaded interior. 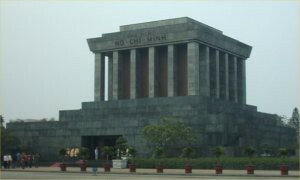 The Mausoleum of Ho Chi Minh. Although it had a very “comedy Soviet” feel, it was imperative to remain respectful. 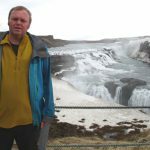 He had originally asked to be cremated, and his ashes scattered over the highest mountains in the North, South and Centre of Vietnam. 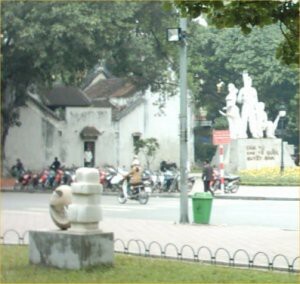 It is located on the spot in Ba Dihn square, when on September 2nd 1945, Ho Chi Minh read the declaration of independence, which he never lived to see. 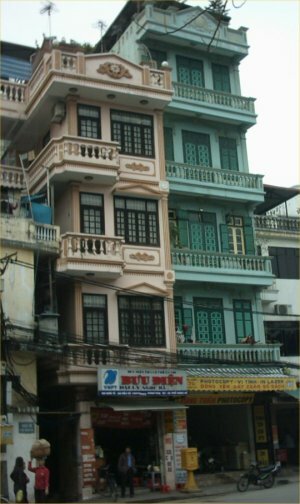 When the French left Vietnam in 1954, Ho Chi Minh declined the offer to live there, preferring to live in a small cottage in the Palace grounds. 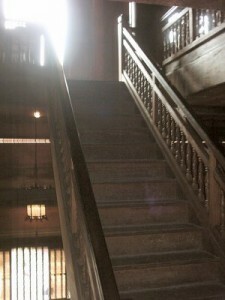 The venue was instead used for meeting visiting dignitaries and school children. In 1958 he moved to his house on stilts, next to a small lake, given to him as a birthday gift. His house is exactly as it was, when he died. There were very few possessions, aside from a simple bed and desk. “Liberator of the Vietnamese people”. 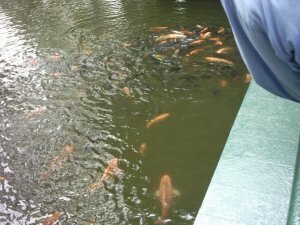 One of his favourite pastimes was feeding the fish in the lake beside his house. We stood on the steps, but armed guards “discouraged” us from feeding them ourselves. It was originally built in the 11th century to look like a lotus flower, floating on the water. Tragically, like many of the things we saw, it had been destroyed by the French and been rebuilt. We passed this statue as we walked to the puppet theatre. Basically, people carrying explosives could run towards tanks, and destroy them, but obviously, they would die also. 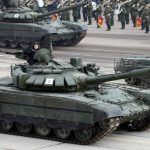 Since there were more people willing to die than tanks, the tanks lost battlefield superiority, and became redundant. 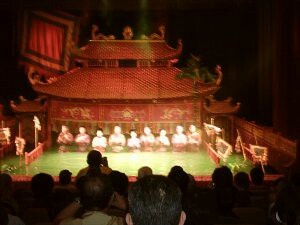 The Thang Long water puppet theatre. 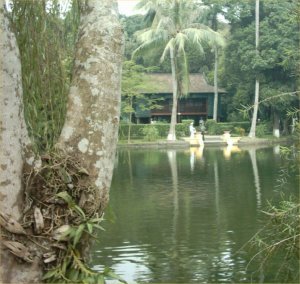 The artists stand waist deep in water, and operate the puppets from behind a bamboo curtain. They have demonstrated their art as guests in over 40 countries. 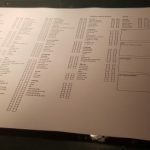 Its essential to read the program. Although impressive to watch, its practically impossible to tell what’s going on. 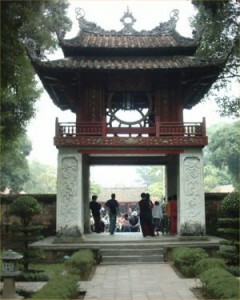 The Temple of literature, oldest university in Vietnam. The modern symbol of Hanoi. 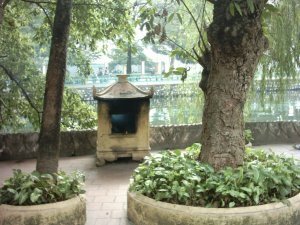 The previous symbol, had been the building on the Island of Hoan Kiem Lake. Inside, there was a beautiful wooden staircase, reminiscent of Trinity College library in Dublin. Again tragically, like the single pillared pagoda, it was destroyed by the French before leaving, and rebuilt after 1954. 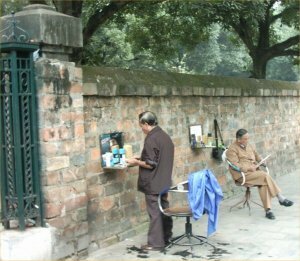 Some barbers had set up shop, next to the outer wall of the Temple. 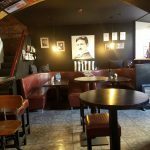 I think that simple scenes like this, are as much a part of travelling, as visiting famous bridges and eating local food.